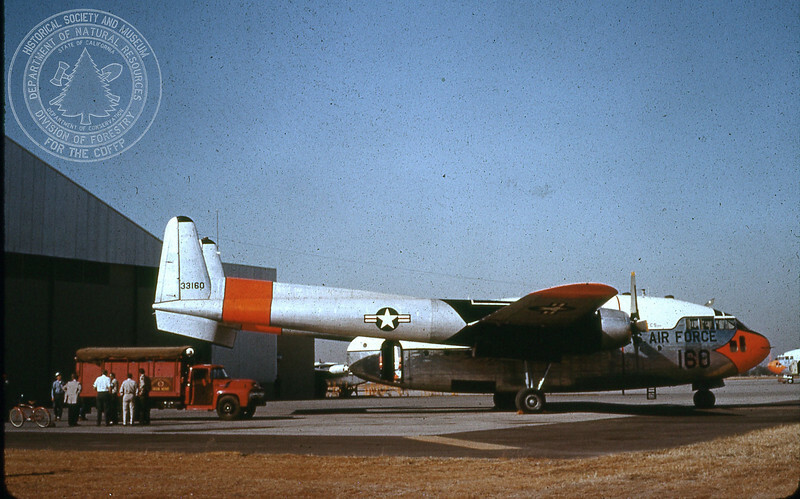 US Air Force C-119 and Iron Mine crew transport used in Operation Kangaroo. from a slide presentation for the 7th Annual Northern California Fire Service Safety Conference. "North and East winds and their effect on forest firefighting"